8 Ball Aitken’s funky, foot stomping energy and infectious blend of swampy-blues, has brought the party vibe to festivals in more than a dozen countries worldwide for a decade. 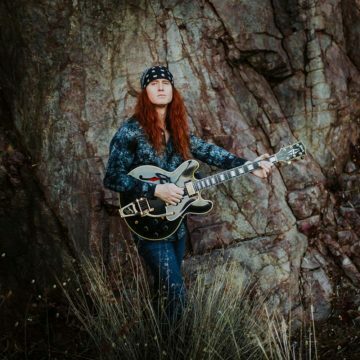 8 Ball Aitken, is back with a new album Swamp Blues. The album debuted #2 in the Australian Blues Music Charts and single ‘High Water’ went to #1 on the AMRAP AIRIT Radio charts. Recorded at Yellow Dog Studios in Wimberley, Texas’ Hill Country, 8 Ball laid down his guitar tracks through analogue tape machine for the warm guitar tones.